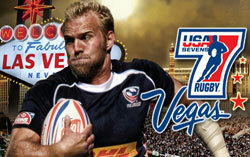 Apart from our extremely popular supporters tours that we arrange to a number of World Rugby Sevens Tournaments, for a number of years we have successfully organised corporate travel packages, particularly to the Hong Kong Sevens for Corporate Clients and Multi National Companies. 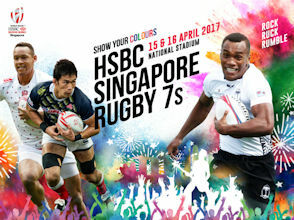 We firmly believe that the Singapore Sevens will prove just as popular as our Hong Kong Sevens Corporate Packages for companies wishing to entertain there VIP Clients in style at a quality venue during a major sporting event. Our Corporate Travel Packages are becoming ever-more popular - from the point of initial contact, right the way throughout the tournament, you will receive the best advice and service from staff highly knowledgeable in sports travel. Based upon detailed discussions, your tour will be planned and tailor-made to your specific instructions and budget. In Singapore and throughout the tournament, Atlas staff will be readily available to make sure that your arrangements run smoothly and to plan. It's this attention to detail and the great value for money provided, that are also key reasons for our growing reputation and success! 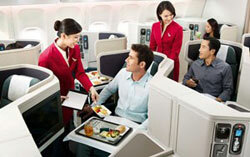 > Return International flights either in Economy, Premium Economy, Business or First Class. > All known flight taxes and airport security charges. > Quality 4 or 5 star accommodation throughout your stay. > Single room occupancy & Daily breakfast. > Late room check-out tailored to suit your return flight time. > Hospitality opportunity within the VIP Club. > Pre-organised welcome evening for your company and Guests. > Private return airport / hotel transfers in Singapore. > Escorted tours to places of interest. > Services of an Atlas Group Travel Representative in Singapore. > ATOL & ABTA Financial Protection - through our own travel licenses..
> VAT & local Singapore Taxes. > Admin Pack that includes passes, lanyards and direction brochure. 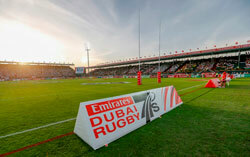 > Two daily passes, one for each day for the weekend of world class rugby action. > An exclusive entry point with dedicated concierge. 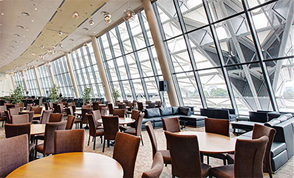 > Access to a private air-conditioned lounge with live TV feed and WIFI connectivity. > Multi-course buffet style meals, 3 times a day. > Live stations for selected dishes. 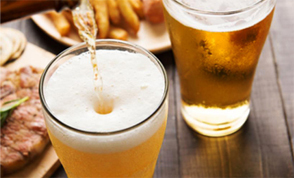 > Free flow wine, beers and soft drinks. 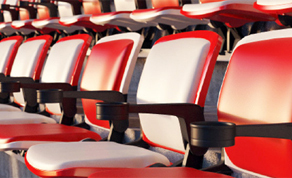 > VIP premium padded seats with good vantage point in the stadium. > Meet the Legends of rugby.